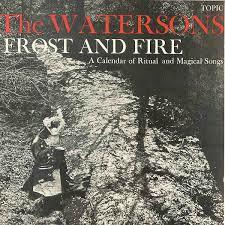 2 Responses to "eBay: Watersons in English Folk Records Shock"
Ant, Sure, "the listings' categories are decided by the seller", but I think there must be a full-blown system failure which is directing all these random CDs – all different genres and a different format – to the English Folk LPs category. Go see for yourself. English Folk LPs are in a tiny, tiny minority. I suppose I could try selling a CD by way of fact-finding, but that might have to wait until I get back from Spain. My point is, eBay is no longer fit for purpose. This pains me slightly, but, as you say, there is no earthly reason to feel loyalty to a horrible, rapacious corporation. Remember all those steps they took to block communication between seller and buyer? (Just in case someone somewhere should sell something without them getting their cut.) Greed and incompetence and hubris have put paid to mighty empires in the past. Cliff tells me that Discogs are OK.